Technology has evolved over the years and will keep on changing. It will continue to dictate the way we do business generally because the whole world is now a global village. The time has come for businesses to constantly look into how to leverage technology and innovation as a competitive edge not only to keep ahead of the competition but also to prevent their businesses from extinction. Today, technology is an integral part of our everyday life. Businesses that are strategic are more likely to use technology to make processes less cumbersome, lower the cost of production and make it easier for customers to access company products and services. The use of tracking devices to monitor the movement of shipments, RFID technology and warehouse robots to mention a few have had a tremendous impact on logistics operations and the new concepts like 3D printing, drones, Internet of things, blockchain technology and driverless vehicles promises to bring about increased efficiencies in logistics operations. 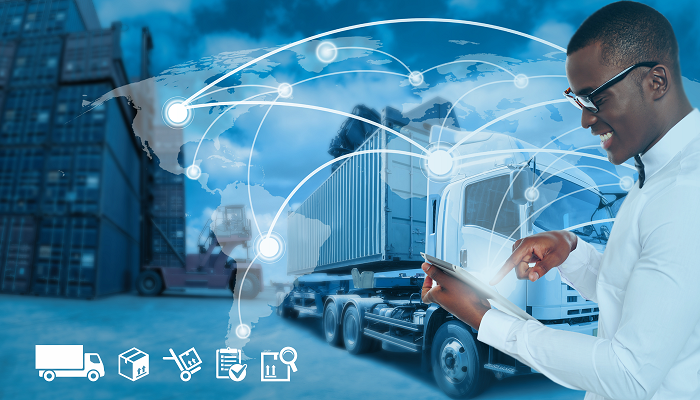 In the Nigerian Logistics space, technology can be used to create more value in spite of the myriad of problems faced by operators. We are all aware of the logistics challenges of bad roads, lack of access to fund to acquire fleet which is even more pronounced now because of the hike in the exchange rate, the high cost of spare parts to maintain the fleet and weak digital payment infrastructure etc. While acknowledging that these challenges exist, it is important to stress that technology can be the way out in overcoming some of these barriers. The biggest opportunity in the logistics business all over the world in recent times is ecommerce which is technology-driven. 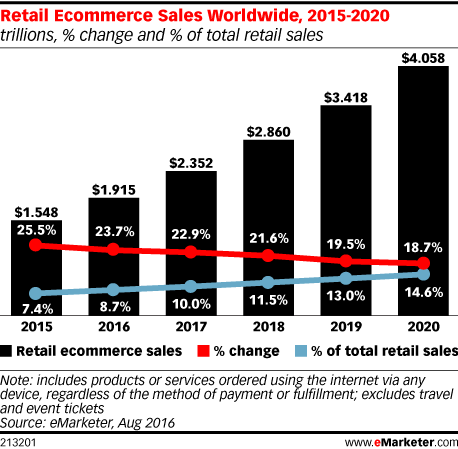 According to eMarketer, an online publication, retail ecommerce sales all over the world will increase to $4.058 trillion in 2020. In 2014, the Nigerian Minister of Communications and Technology, Omobola Johnson stated that Nigeria’s electric commerce market has a potential worth of $10 billion. Also according to Jumia`s third white paper on Nigeria mobile trend in 2017, Nigeria has 53% internet penetration rate (97.2 million users). Bearing in mind that e-commerce is just a fragment of the opportunities that can be tapped into as far as logistics is concerned, because of this enormous potential we should be looking at how to find our ways around these logistics challenges rather than throw in the towel. Technology will play a strategic role in finding solutions to or surmounting these challenges. There are different levels of technological adoption in Nigeria and indeed all over the world. Some businesses are just beginning to look at ways of using technology to enhance their products and services; others are already using it and are thinking of the next level of adoption and what other aspects of the business to automate next while some others have so deeply leveraged technology and are poised to stay ahead of competition and control a better part of the market share because of the advantage of superior technology. Initiative: Manufacturing and Innovation Report in November 2015.This report suggests three distinct ways that technology can be applied to enhance supply chain for increased profitability. Core possibilities: Technology can be used to optimize existing products for existing customers. Adjacent possibilities: This deals with how technology can be leveraged to expand businesses into new areas. Transformational Possibilities: How to incorporate breakthrough technologies and/or invent products /services for markets that don’t exist. Clearly, the benefits to be gained from transformational possibilities are enormous because this provides new opportunities and create growth. In Nigeria, the traditional courier companies, especially the multinationals, leverage on existing structures to execute last mile delivery for ecommerce. However, the greatest challenge facing these companies in the e-commerce space is Cash on Delivery where the delivery courier waste precious time in collecting money for the merchandise Although online payment and P.O.S machines are available, some traditional shoppers do not trust online platforms and are not willing to release their financial details online. Others want to see the merchandise to be sure it is real before they make payment Because they are measured on speed of delivery in their existing global network, these courier companies operating in the Nigerian space cannot afford to waste time on delivery which would impact on their overall operational performance and are therefore struggling to compete in the last mile delivery. Furthermore, there is also the challenge of the difficult terrain caused by lack of infrastructure in Nigeria. The major determinants of efficiency in the last mile, good roads, are hard to come by. Consequently, courier companies must have to adapt to doing business in this difficult terrain in order to be successful. One of the ways by which this can be achieved is to consider customized I.T Solutions that are tailored to the particular strategic direction of the company. Another way is to look for innovative ways to create delivery networks that are totally different from the traditional way of directly owning delivery fleet. A very potent technological tool that can be used to optimize existing products for existing customers and enhance profitability in the logistics industry is the use of social media. The drawbacks applicable to the deployment of drones and driverless vehicles in Nigeria can be countered by the effective use of social media. According to Jumia`s third white paper on Nigeria mobile trend in 2017, 97 million Nigerians use mobile phones and it would be good for businesses to tailor their social media strategy towards this huge number of potential customers. Facebook, Twitter, Instagram and WhatsApp are very potent tools businesses can use to interact with and engage the customers. It also makes business sense to keep existing customers because it is estimated that they spend three times as much as new customers. Direct selling or ordering products. I doubt if there is any courier or logistics business in Nigeria today that does not automate its processes, use social media handles to interact with customers, have a website or offer tracking of shipments or their fleet. If there are, they are simply not competing. They are waiting to die. In the second instance, Adjacent Possibilities, are those companies that have been able to leverage on existing platforms to move into new areas of business. This is how GIG Logistics evolved. GIG Logistics is a sister company to a passenger transportation business with an enormous presence on the ground all over Nigeria. It is important to note that there are several passenger transport businesses in Nigeria with similar assets but they have failed to take full advantage of the extensive economies of scale derivable from their large fleet of vehicles. In the third category, Transformational Possibilities, are those businesses that would succeed and be able to compete in the next century. Those businesses that can use breakthrough technology to take the logistics business to the next level. Using drones to beat traffic and deliver to challenging terrains, driverless vehicles to enhance efficiency in logistics are examples. It is doubtful though whether drones can be widely deployed in Nigeria because of the issue of trust except in few instances where delivery is controlled. In the developed world, shipments can be delivered at the doorstep when the receiver is not at home. This may not be done for now thereby limiting its use. Driverless vehicles would also not be able to navigate well on the roads are bad. The precursor to this is to provide good roads. Uber saw the potential in taking commerce to the cloud. While the movement of passengers from a point to another is a physical process, every other aspect of the business is in the cloud. This gives it an enormous advantage over similar types of businesses. A welcome development in the logistics industry in Nigeria is the advent of a new set of players. These are platforms that bring together potential customers with carriers. These operate with the same strategy as Uber. The premise is that this would drive down the cost of shipping in the long run. Blockchain or distributed ledger technology is an evolving technology touted to have the potential to provide transparency, security, visibility and ultimately, efficiency in the supply chain when fully developed. GIGL has effectively used the first and second possibilities to leverage technology to succeed in a volatile and disjointed environment for increased shareholder value and customer satisfaction. By this, GIG Logistics has positioned itself as Nigeria’s leading indigenous logistics company with the strongest delivery network. We are constantly looking for ways to use technology to make processes simpler and friendlier to customers and breaking through to transformational possibilities is the next step. Those businesses currently experiencing difficulties in the last mile would do better by aligning with indigenous logistics providers who have more knowledge of the terrain and stronger delivery networks. In closing, doing logistics business in Nigeria is difficult because of the challenges faced but we have to overcome these difficulties if we are to tap into the enormous opportunities available. It is pertinent to note that the Nigerian logistics business environment is better suited for indigenous companies who have greater knowledge of the terrain. GIG Logistics’ local knowledge coupled with technology has enabled it to actively compete with the big multinational logistics companies who are likened to the sharks. Sharks are not wired biologically to survive in the rivers where the alligator is the king. The Nigerian logistics space is likened to the river where the big sharks cannot survive and the indigenous logistics companies are the alligators. Let us all strive to be kings in our business environment.